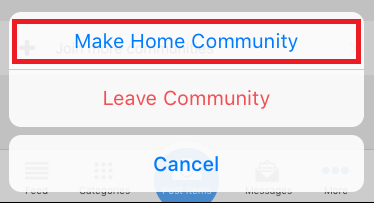 Home Community - what is it & how can I change it? Your Home Community is the community you consider your "main" community, usually the one where you live or where you shop/transact the most. This setting affects how the feed is displayed for you, relative to your location. It's possible the home community that is selected when you first join VarageSale may not be the best for you. You should set this to the place where you tend to buy & sell the most, usually the one closest to your location. You can check (and change) your home community, if necessary, by following these steps. 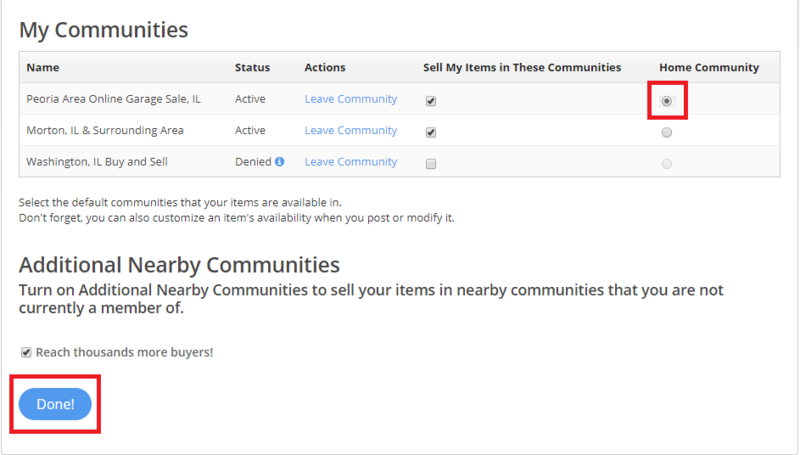 Your home community will be designated in the community list. 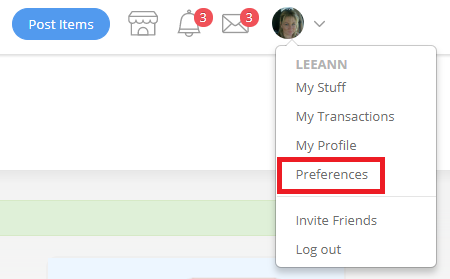 Click your profile picture in the top left corner then click "Preferences"
Click on " My Communities"
Click the button next to the community you want your home community to be, and then click on "Done".